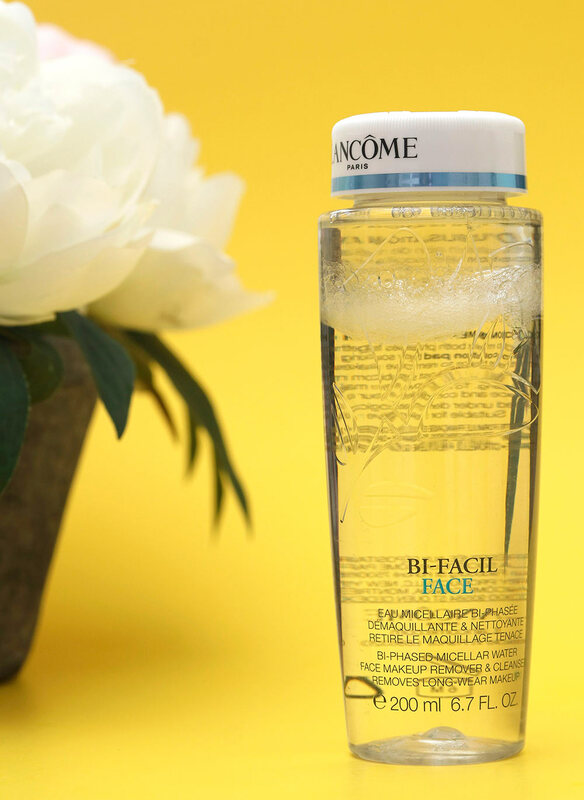 Is Lancôme Bi Facil Face Makeup Remover a Lazy Girl’s Dream Come True? It’s micellar, micellar, everywhere! Yeah, here’s another micellar makeup remover, this one from Lancôme. We JUST talked about micellar magic a few days ago in that post about the MAC Gently Off Wipes + Micellar Water Wipes, which… Ah! So pink! Lancôme Bi-Facil Face Makeup Remover ($40) combines an oil-based makeup remover, like the one in the original Bi-Facil Eye Makeup Remover (which is EPIC!) — with micellar water. You shake the bottle to mix the oil and water, soak a cotton pad with said elixir, then wipe your makeup off your face. The oil is supposed to whisk away face makeup (even the most stubborn kind) while the micellar magic cleanses your skin. Two in one. Sounds like a lazy girl’s dream come true, right? No matter how tempted you get, do not — I repeat, DO NOT! 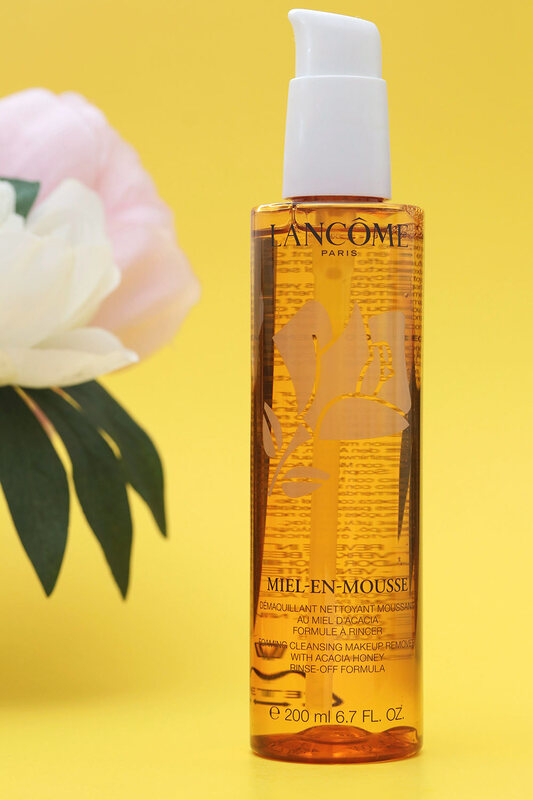 — put any Lancôme Miel-en-Mousse Foaming Face Cleanser & Makeup Remover ($40) into your cup of tea, and you can forget about smearing it all over a piece of toast, man! Sure, it might look like honey and smell like honey and, yes, it even has honey in it, but no, it is absolutely, positively 100% not edible. Follow the instructions for this two-in-one makeup removing cleanser, and you’ll be fine. Apply 2-3 pumps to dry skin, then gently massage it all over your face to begin dissolving your makeup. Marvel at how it feels thick like honey, but isn’t sticky like honey (weird! ), and feel your tense shoulders begin to reeeeeelax as the product ever-so-slightly warms up as you work it into your skin. Feels like you’re at the spa, doesn’t it? At this point, if you want to take a moment to wonder why it doesn’t sting your water lines and lash lines (I usually do), feel free. Whatever you do, though, resist the temptation to lick it off your lips with your tongue! Totally worthy of a sweaty workout. I climbed a rope suspended from the ceiling yesterday (yes, I did this for fun). It was hard! But I did it. It was for the HIIT class I take at the gym. We were doing all kinds of different exercises with ropes, and I found out that the trick to the rope climbing is to engage every muscle in your body — your core, your legs, your booty — and not just your upper body and your arms. 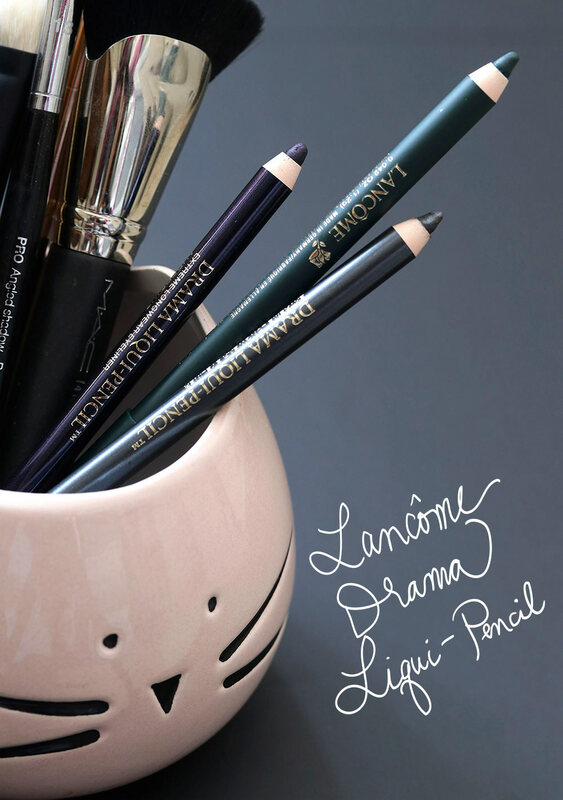 Anyway, this story is makeup related, I swear, because while I was trying to get up the aforementioned rope, I was wearing $23 Lancôme Drama Liqui-Pencil Longwear Eyeliner. I was wearing a couple of the new shades that were released last month — a green shade on one eye (Ponts Des Arts) and a purple (Aubergine) on the other, and, as I was trying to climb this rope, the people in class were giving me helpful advice, but at no point did anyone mention that I was wearing two different colors of liner on my eyes…which leads me to conclude that one is literally able to walk around all day with two different eye makeup looks doing lord knows what, and nobody will ever say anything. 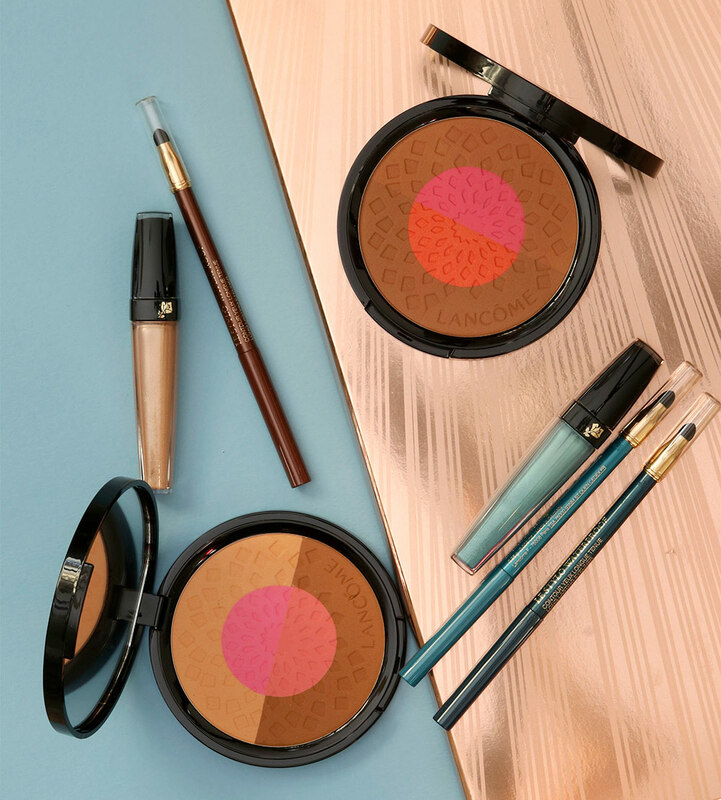 That’s the Lancôme Patio Mediterraneen Palette, Lancôme Le Metallique Metallic Liquid Eyeshadow in Or Farniente, and the Lancôme Waterproof Eyeliners in Tempo Mediterraneen and Brun Frivole on my eyes. 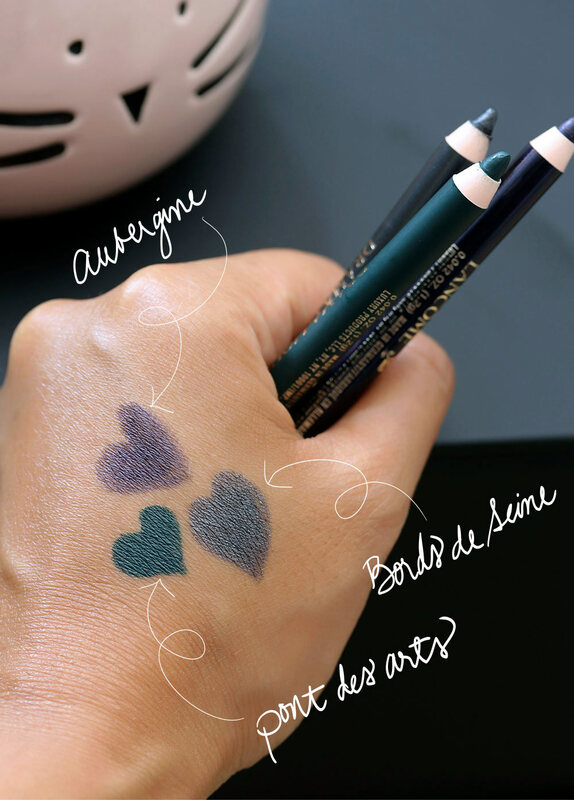 I’m also wearing the Patio Mediterraneen and Patio D’Une Nuit D’Ete palettes on my lids. “Swing,” in this particular case, does not refer to playground equipment. Or swing states. Or swingers (Oh, boy! What would THAT collection be like?!). It’s a reference to swing rhythms, as in music, and the sounds of summer. Summer Swing is a limited edition release, and it’s already been out a little while. Lancôme Global Makeup Creative Director and All-Around Super Cool Gal (that’s her official title) Lisa Eldridge designed it. I love me some Lisa. 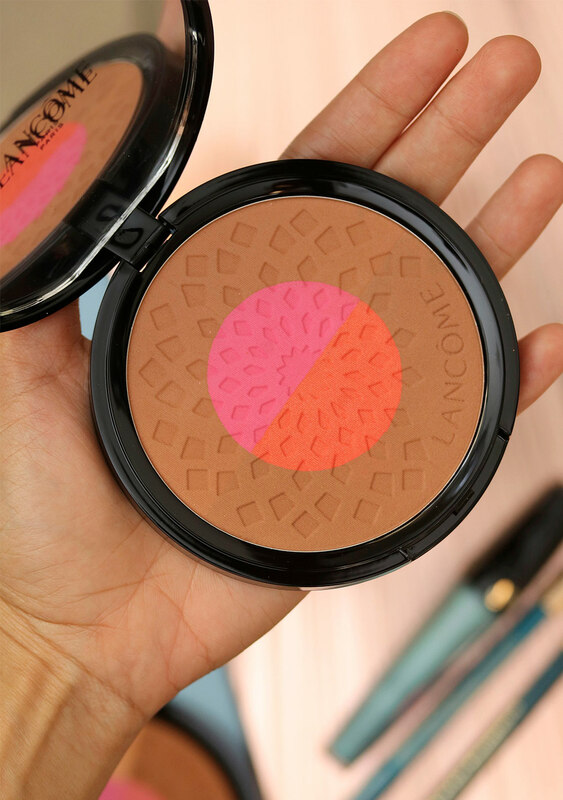 This one goes the traditional route with classic summer colors like bronze, gold, teal, coral and hot pink — colors that really sing on tans and warm-toned skin. That’s a big pan, yo! How Cute Are These Lancome Juicy Shakers? 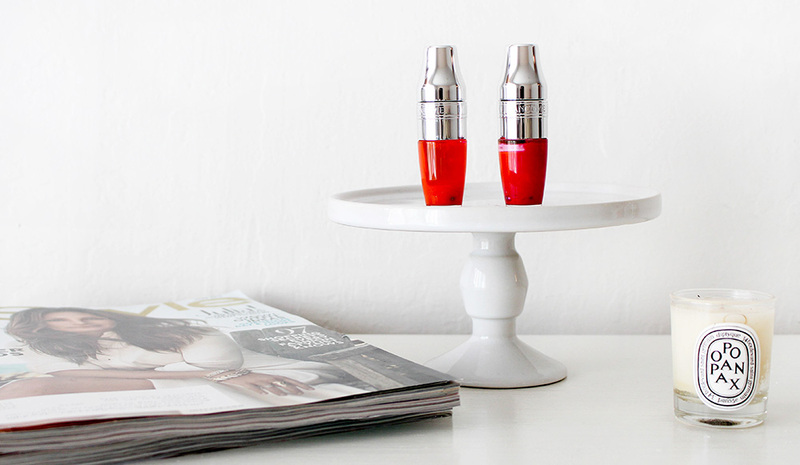 Aren’t these Juicy Shakers cute? 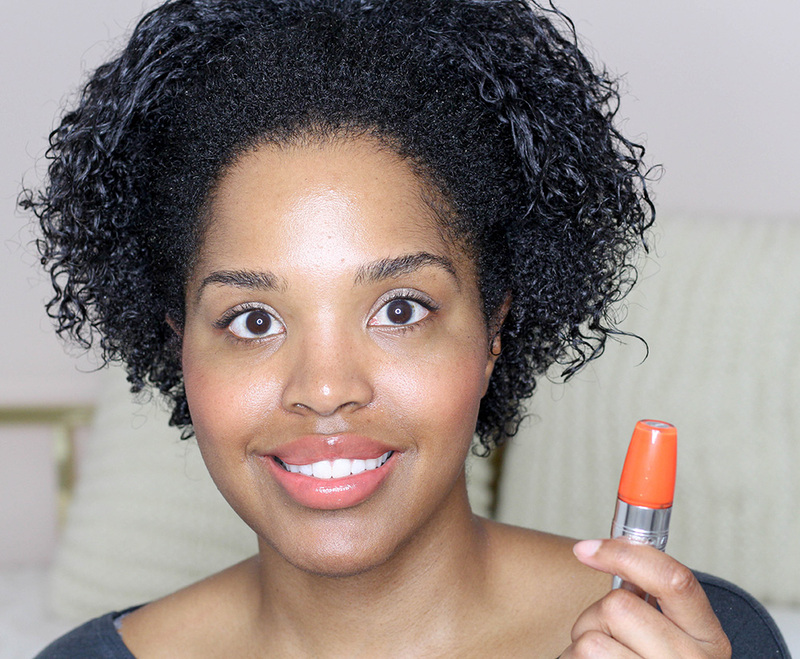 I’ve been seeing lip treatment oils talked about on different beauty blogs a lot lately, and I’ve been curious about them…but for whatever reason, I just hadn’t gotten around to giving them a try. I wanted to try these Lancome Juicy Shakers ($21) for a couple of reasons. First, they’re super, SUPER cute. They’re seriously some of the cutest lip products I’ve ever seen. Second, the bi-phase formula (the oil and pigment settle, so you shake these up to mix them together before using them). Is it just me, or do these look like mini cocktail shakers? 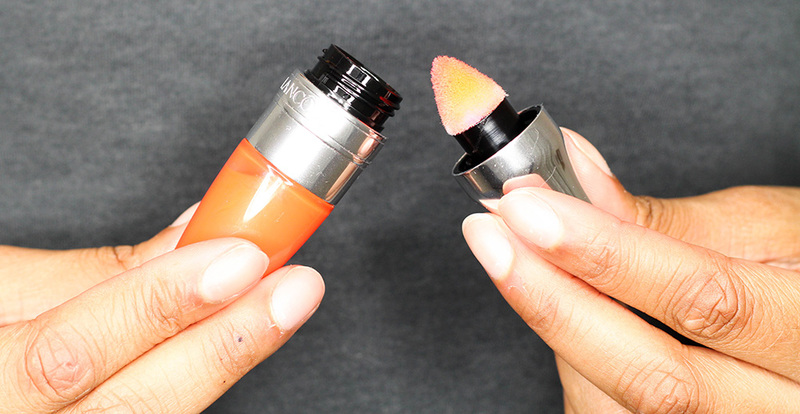 After you give these a quick shake, there’s an adorable little cushion applicator that you use to apply the color. So…I really, really think these are cute. So damned cute! And they’re just perfect for the summertime, because you can get that super glossy look on your lips, but because they also contain the oil, they’re actually moisturizing. I feel like a lot of glosses, even though they’re shiny, are actually not moisturizing at all. But these are nice because they’re moisturizing AND glossy yet aren’t thick or sticky. As you might guess, because of the oil, they do have a somewhat oily feel, but they’re not greasy or anything like that. They feel rather unlike other lip products I’ve tried. The two colors I have here are Apri-Cute (a peach/apricot) and pinky Berry Tale. 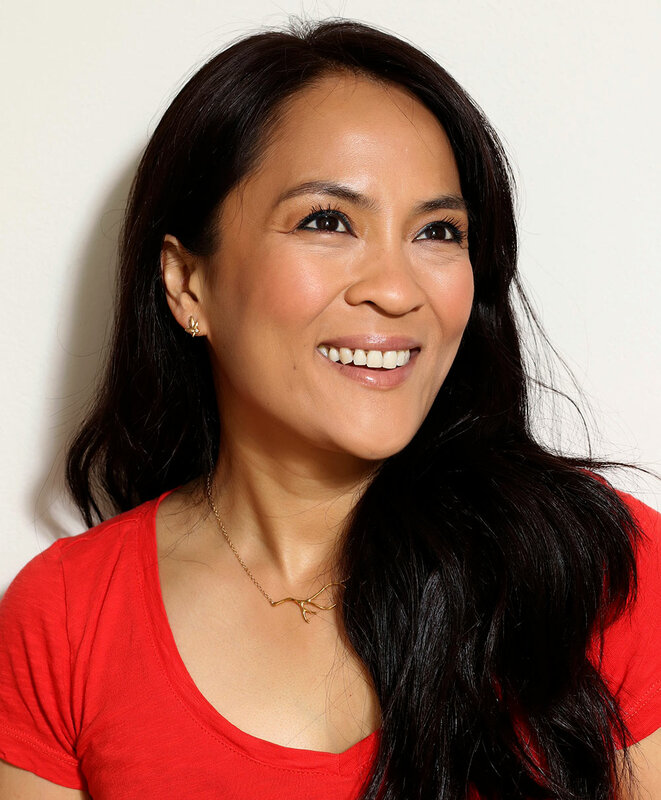 On my lips, Apri-Cute is pretty sheer; you don’t see a ton of pigment, but there’s a time and a place for that. 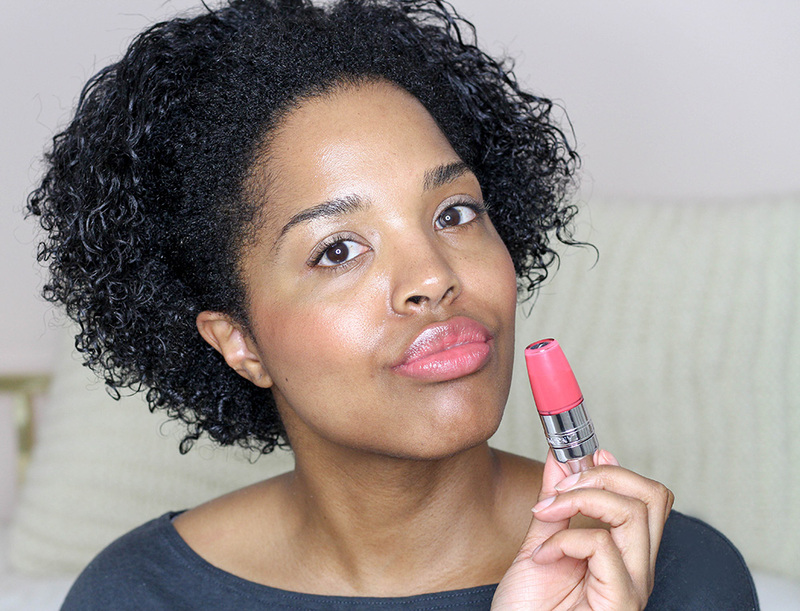 And Berry Tale is a really glossy, pretty pink lip color.